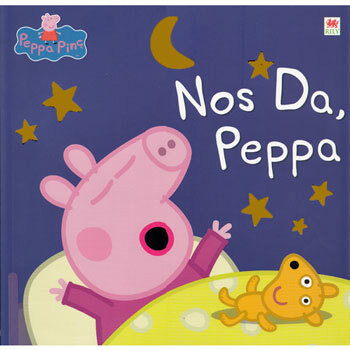 A Welsh picture storybook based on the TV series, Peppa Pig. It's time for bed but Peppa and her little brother George are absolutely not tired. A nice bedtime story should do the trick, shouldn't it? Nos Da, Peppa is written entirely in Welsh and is aimed at native Welsh speakers aged 3+.